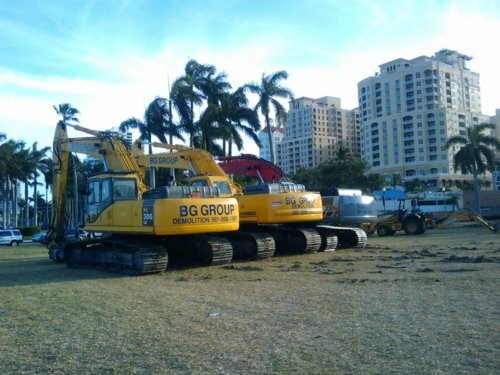 The destruction of the old library building on Clematis Street in May 2009 will open up the views to the Intracoastal Waterway. The entire complexion of the Clematis Street waterfront, 100 block, and 200 block will change when this happens. This event has been talked about by city officials and dreamed about by residents for several years now. Now the time has come. 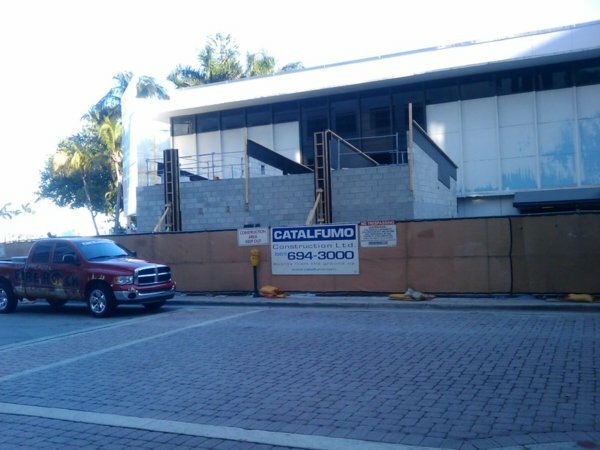 The old library has shut down and the new library has opened up in City Center on the 400 block of Clematis Street. The word from the city has been that the old library building will come down as soon as the Sunfest music festival is over. Well, it's now over. However, I heard from a member of the Downtown Development Authority board that the old library building will not come down until "several weeks" after Sunfest. So at this point it is looking like it will be late May before it comes down. You can be sure that we will have pictures here of the fantastic new landscape when this finally does occur. In the meantime, here are a few pictures of what's going on there right now. First, a small concrete structure that is being built on the north side of the old library building (perhaps a tourist booth as part of the waterfront project?). 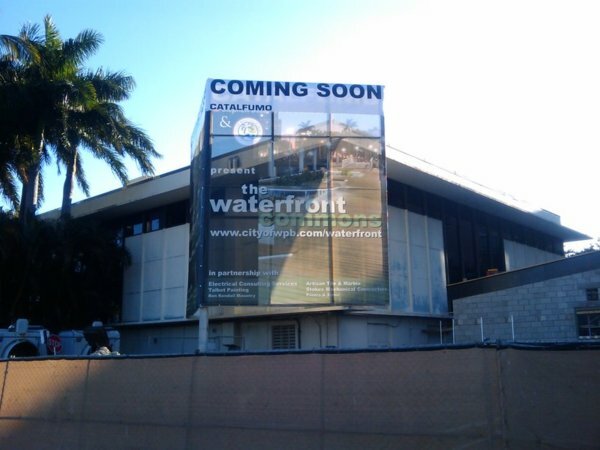 Second, a view of the banner in front of the old library building that was put up during Sunfest to announce the waterfront project. There was some new activity today (May 6th) at the old library site. 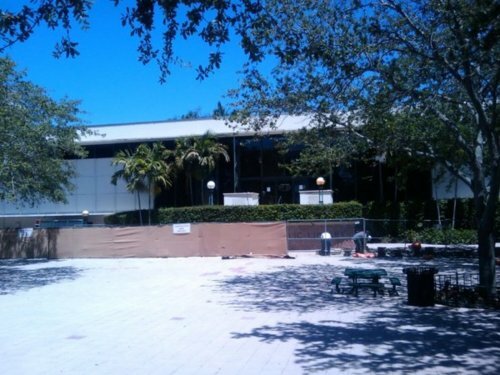 The workers put up a fence surrounding the old library, with a sign saying "construction zone". It appears that they left a small walkway so that the restroom (frequented by the homeless) could still be used. But the fence went up quickly, along with a solid material on the fence so that people can't see through to what is going on inside. Looks like the first step toward ultimate demolition (picture below). Planning a Road Trip? Find great deals on over 80,000 hotels at Hotels.com. As of Sunday May 17th, the old library is still there, but the city has scheduled a ceremony for Monday May 18th at 11 AM to celebrate the new Waterfront Commons. This could mean the beginning of the end for the old library building at some point in the day, maybe even in the morning. It's clear from looking around that the stage is set. 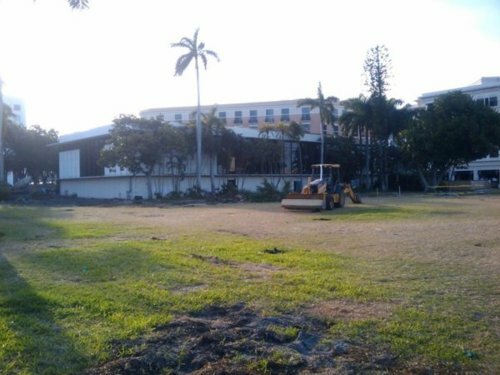 Take a look at the two pictures below (first, the old library perhaps for the last time, and second, three bulldozers parked in the grassy area in front, ready to get to work).